Diversity in the Workplace Class Ventures to D.C.
Twenty-one undergraduate students studying diversity in the workplace at William & Mary’s Raymond A. Mason School of Business got a chance to learn directly from the working world on a recent trip to the Washington, D.C., area. The students, all in Mansfield Associate Professor of Business Katherine Guthrie’s Diversity in the Workplace class, connected with alumni mentors, explored career opportunities and learned skills to help them apply what they learn in the classroom as they become more career-ready. With financial support from EY, the Mason School has developed this program to expose students to career opportunities and connect them with alumni mentors. Mentors assist the students mostly by helping them clarify and purse personal and professional goals at this point in the undergraduates’ studies. While in Washington, the students sat in on industry-specific panels featuring Mason School and William & Mary alumni. Crystal Bailey, JD ’09, founder and director of The Etiquette Institute of Washington, also led students through an etiquette lunch followed by a case study taught by William & Mary alumni now working at EY. The final event was a student-mentor dinner attended by more than 50 alumni and students. Students said programs like this are vital to helping them see the real-world impact of what they learn in class and to preparing them for careers. 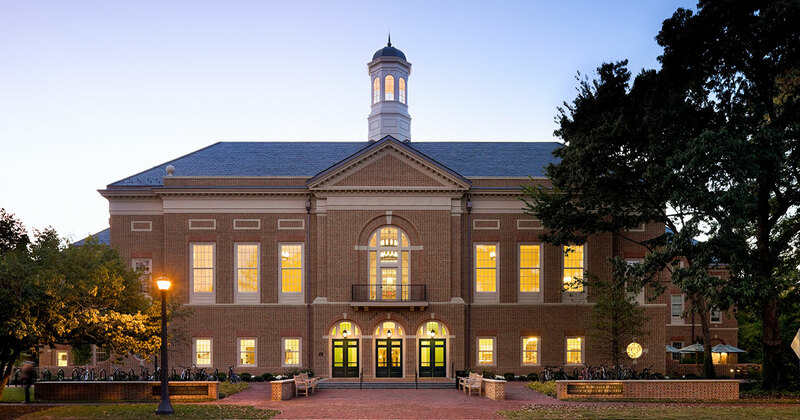 Students said they were impressed to have so many connections with William & Mary alumni—and to see alumni offering so much time to them. “The D.C. networking day was the perfect opportunity for students to practice and improve professional development skills while learning about the various business industries W&M alumni occupy,” said Breanca White.